You can select up to 7 travellers in total. Tour Rome with a private guide exclusively for your party. 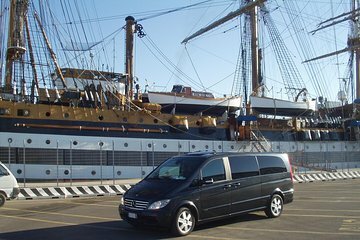 After pickup at Civitavecchia Port, drive through the countryside to the capital city of Rome, where you’ll visit the Trevi Fountain, the Spanish Steps, the Pantheon, and other historical landmarks. Enjoy skip-the-line access to the Roman Colosseum, the Vatican Museums, and the Sistine Chapel. Learn about this ancient city and what life is like there today. Your driver will handle all logistics and make sure you return to port on time.